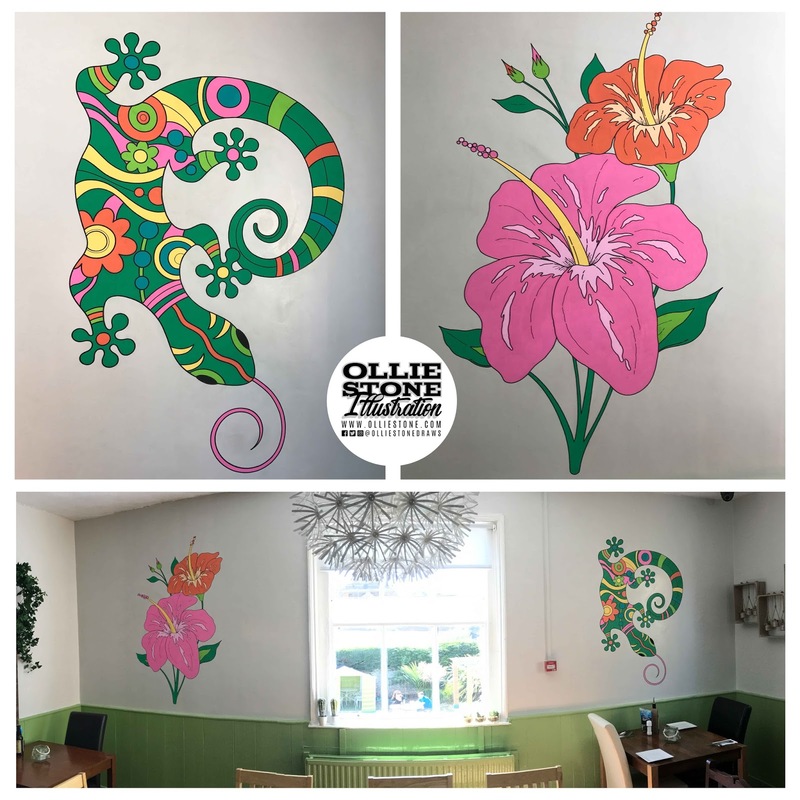 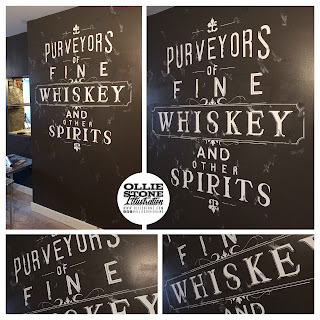 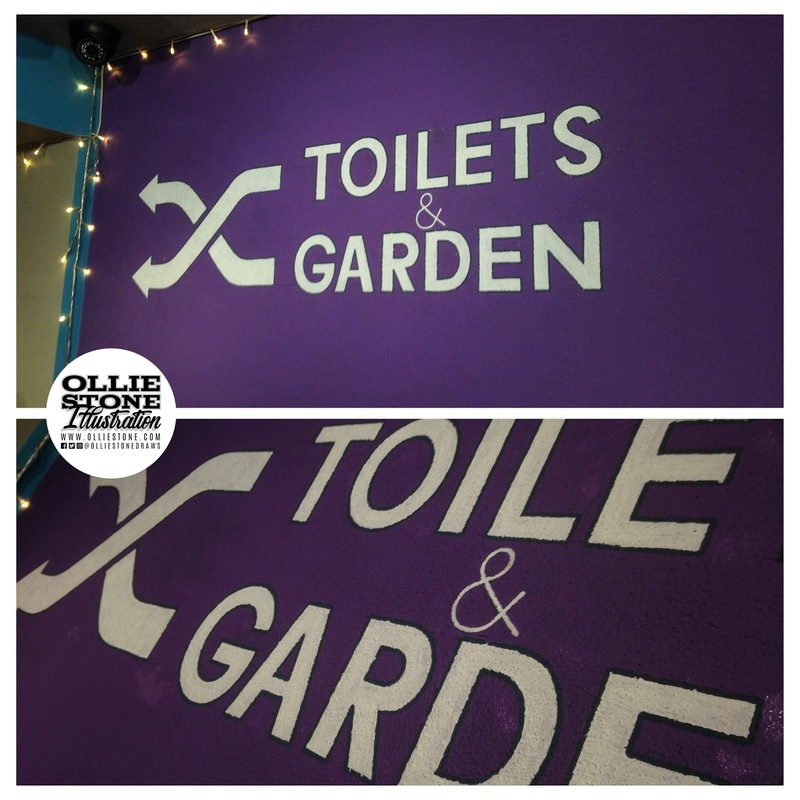 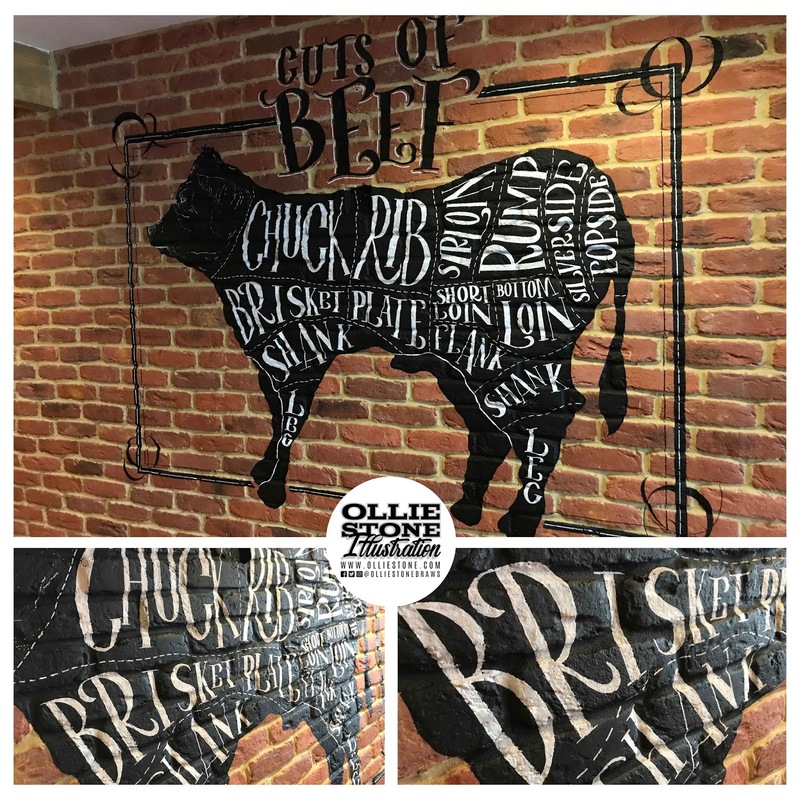 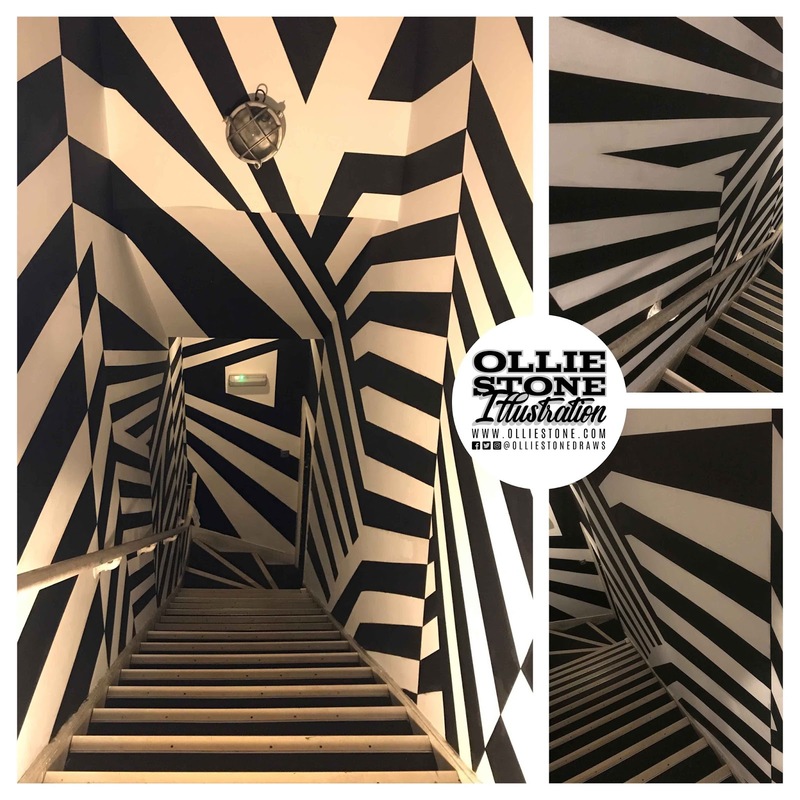 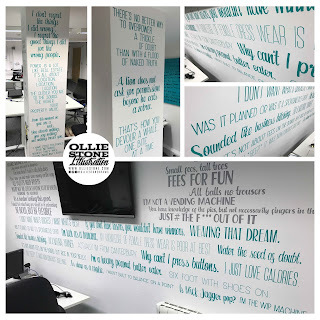 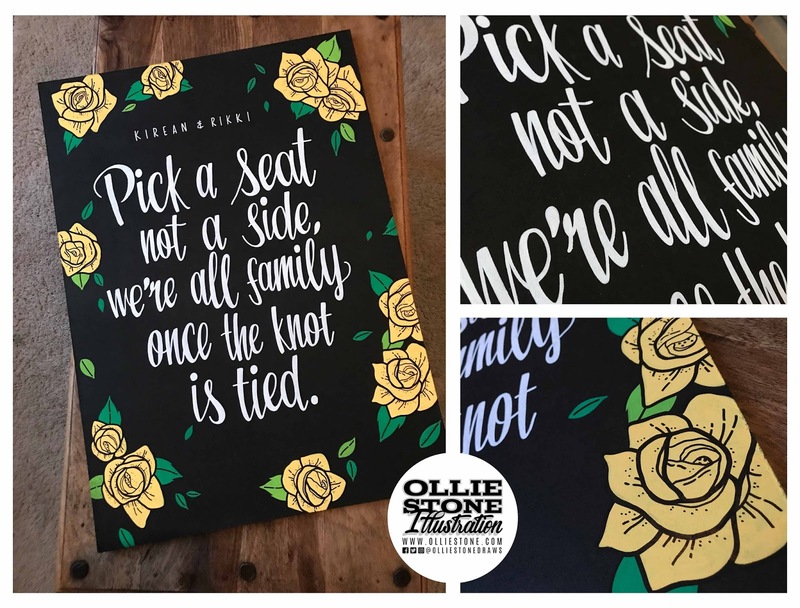 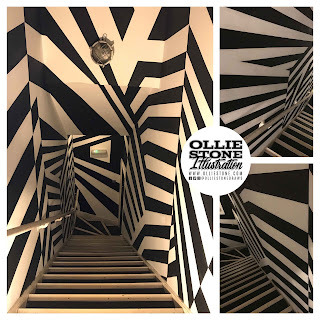 Bespoke murals and hand-painted artwork. 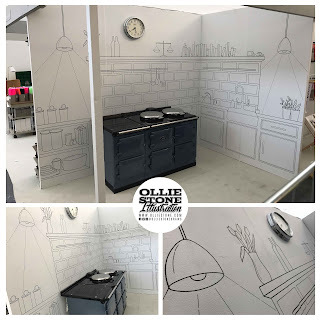 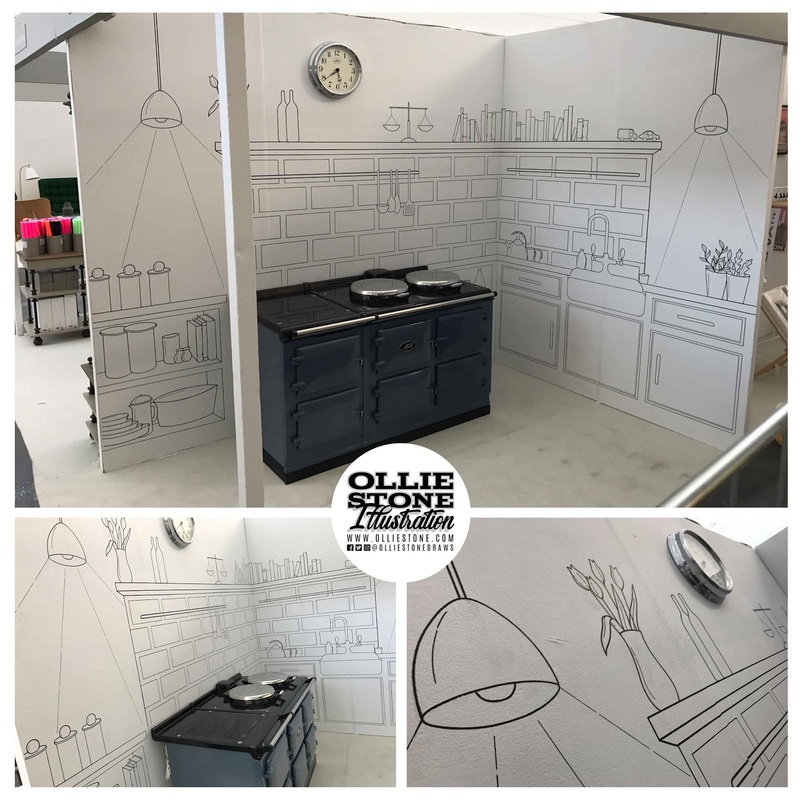 Exhibition booth design for AGA Cookware, London. 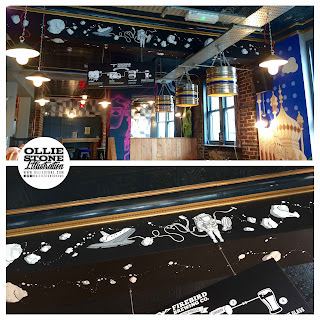 Mural design for The Ark, Newhaven. 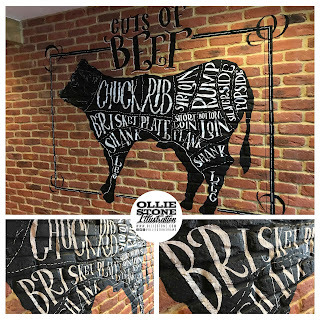 Mural design for Bentley's, Bexhill. 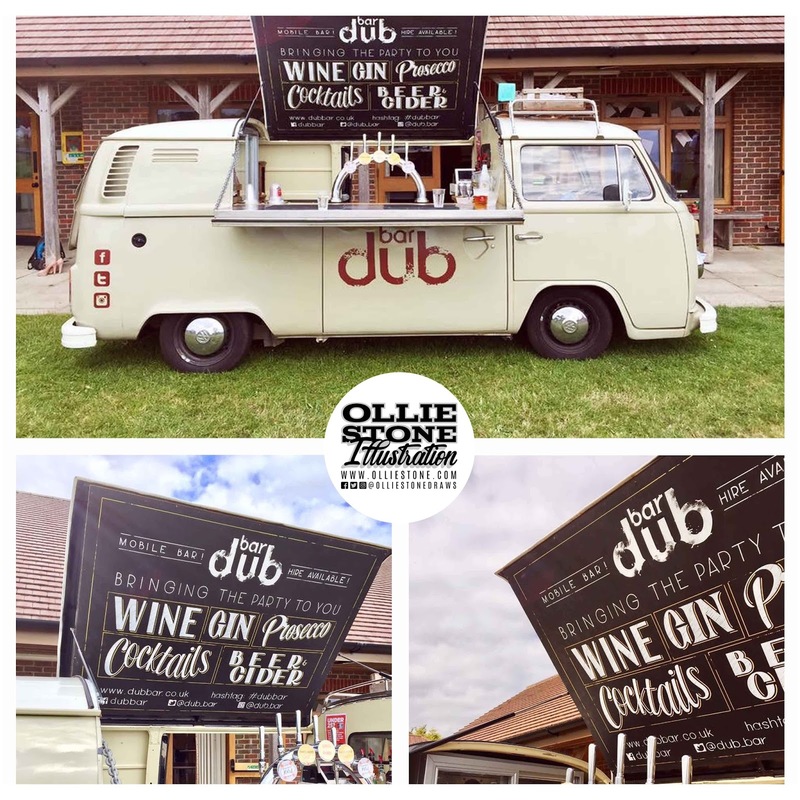 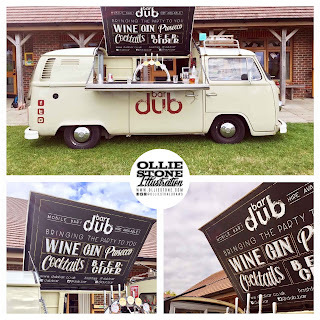 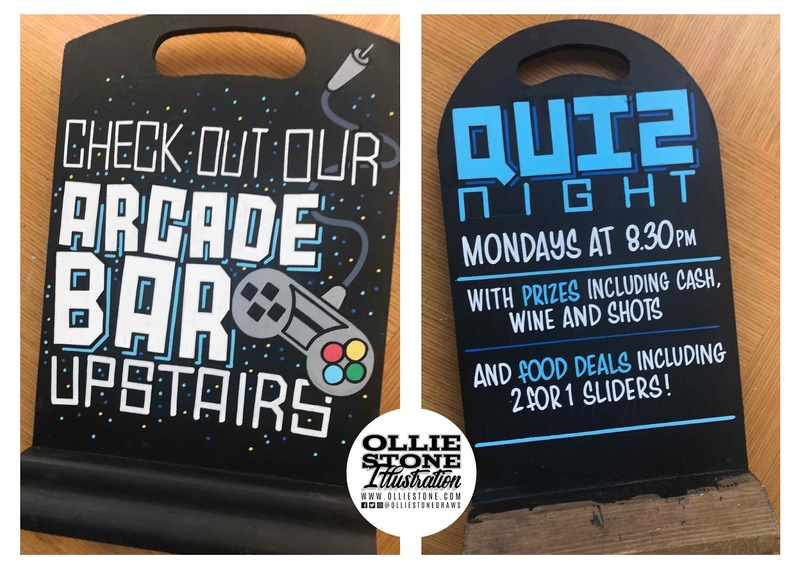 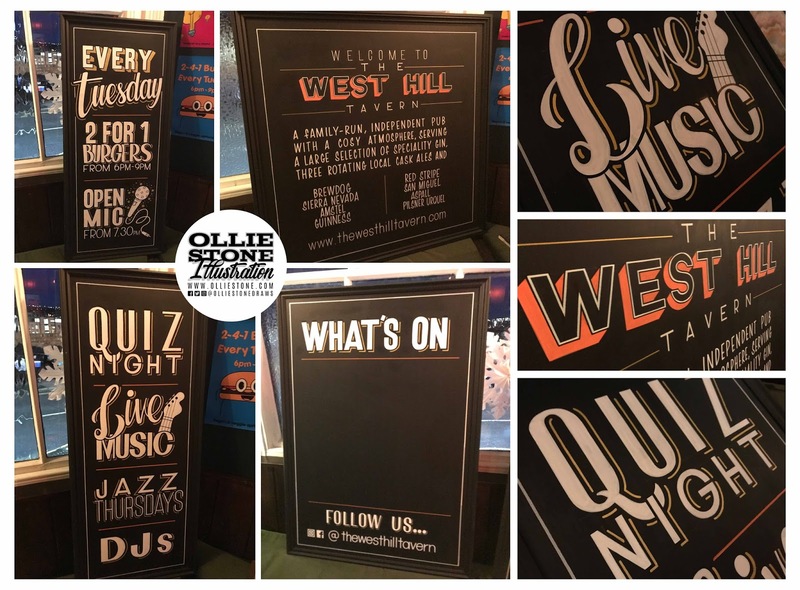 Signage design for Dub Bar, Hailsham. 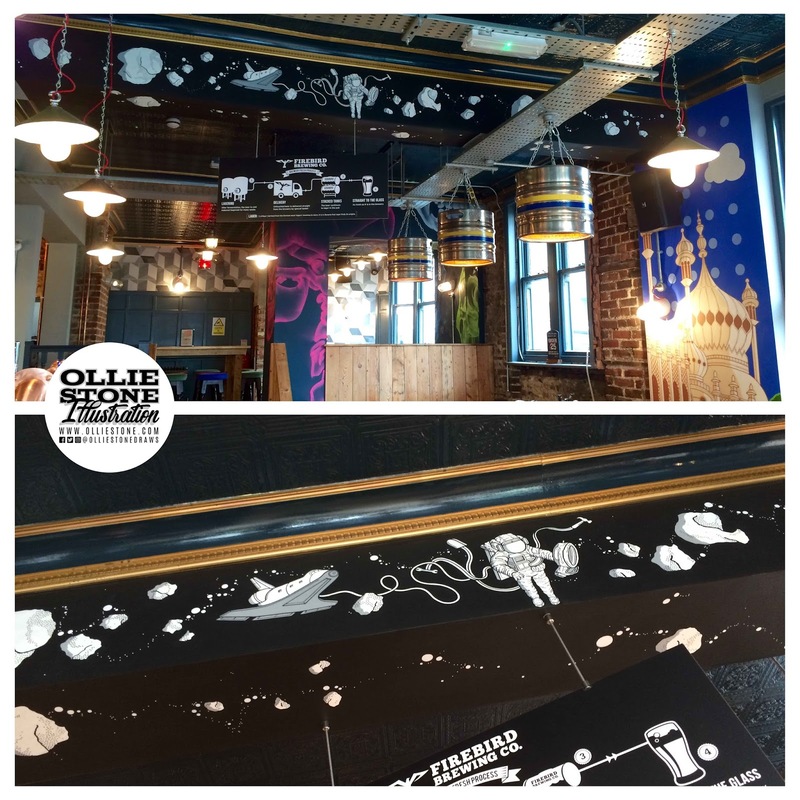 Mural design for Harvey John, Brighton. 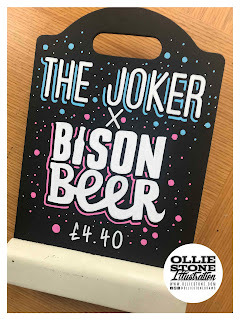 Mural design for The Joker, Brighton. 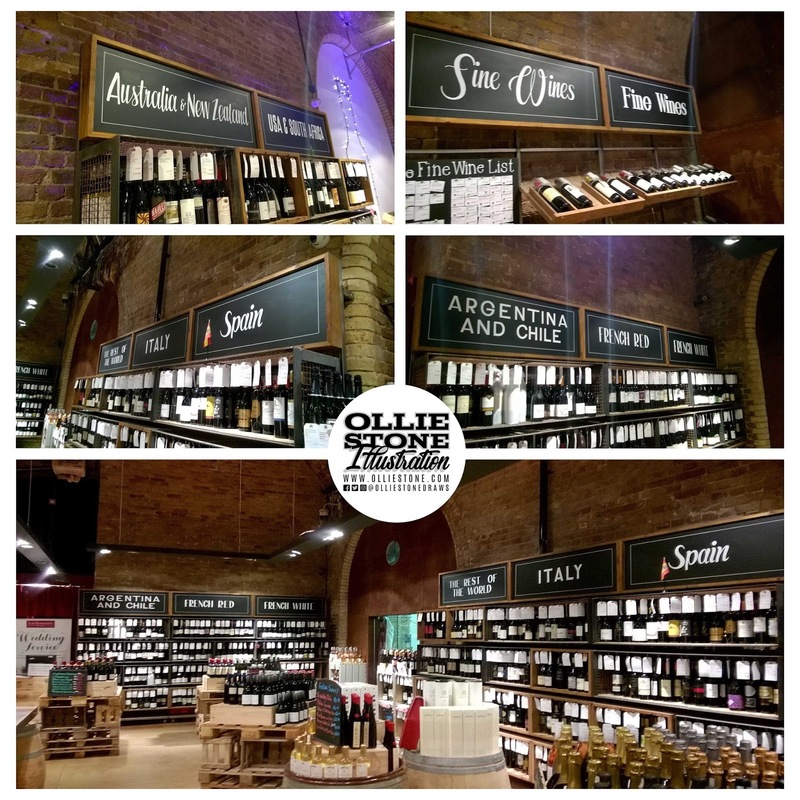 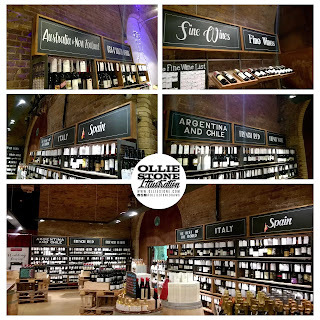 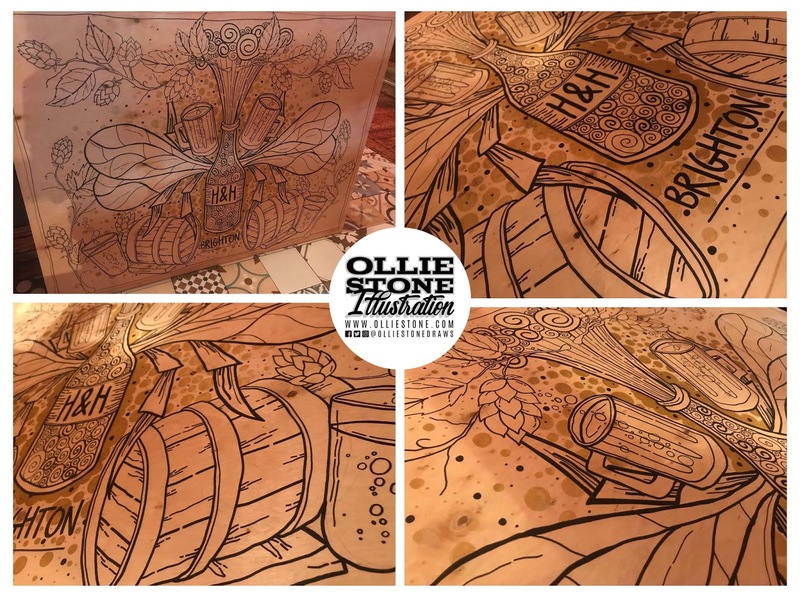 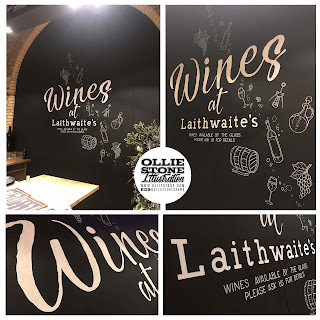 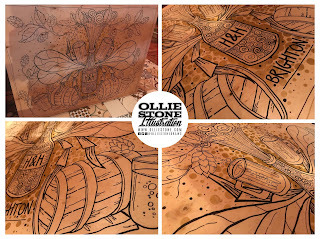 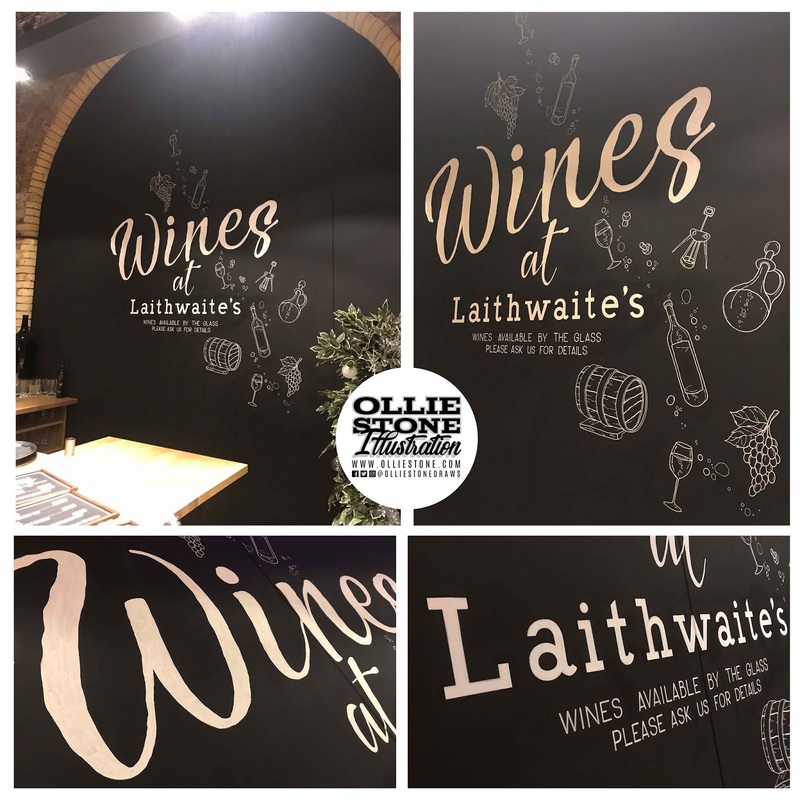 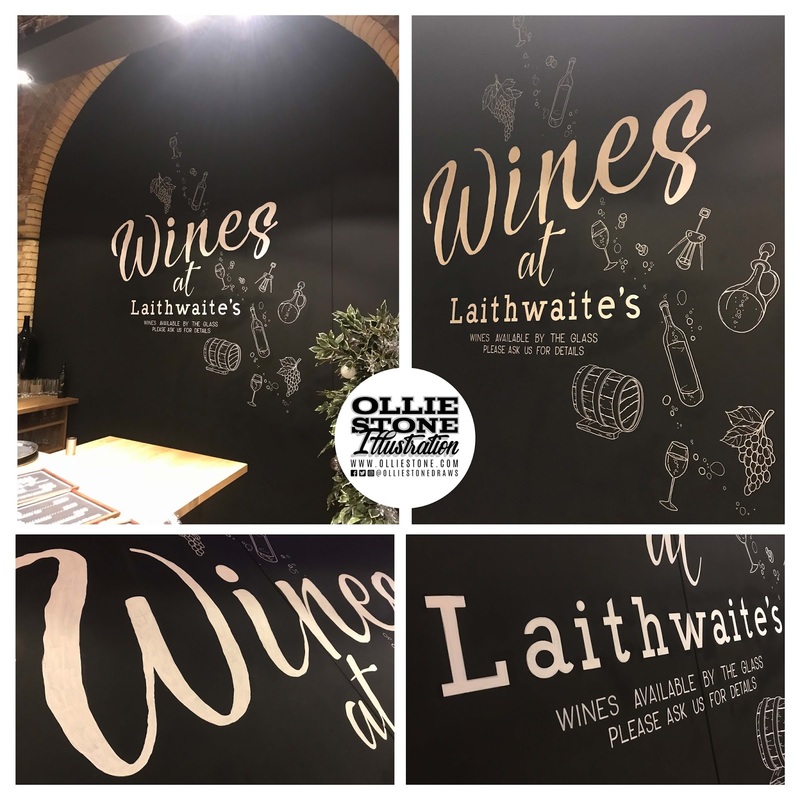 Mural design for Laithwaite's, London. Mural design for a private client, Brighton. 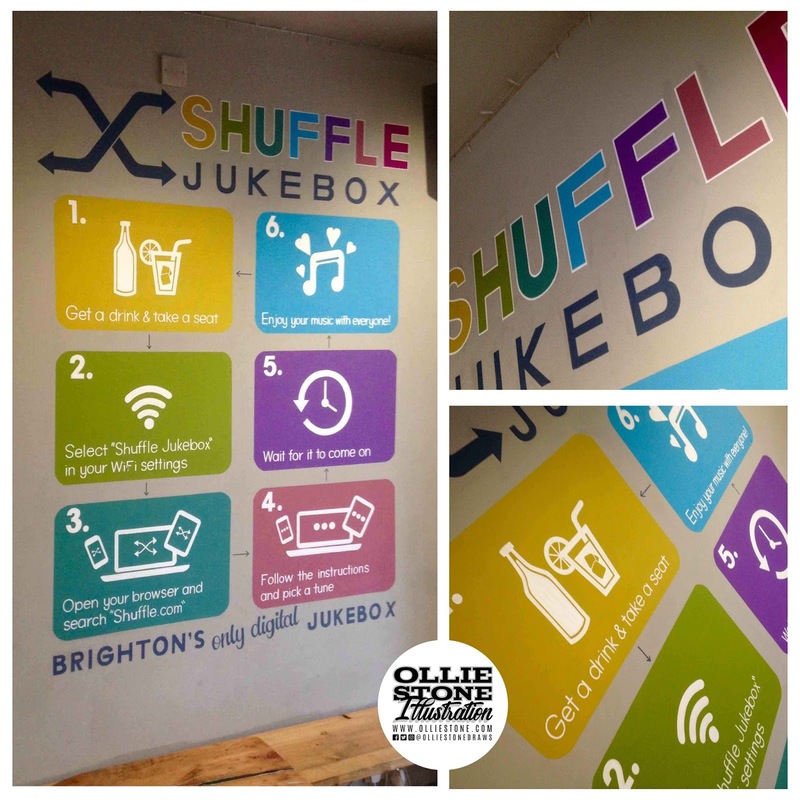 Mural design for Shuffle Bar, Brighton. Mural design for Tapas Tapas, Bexhill. 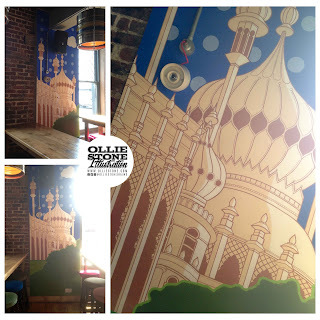 Mural design for The Temple Bar, Brighton. 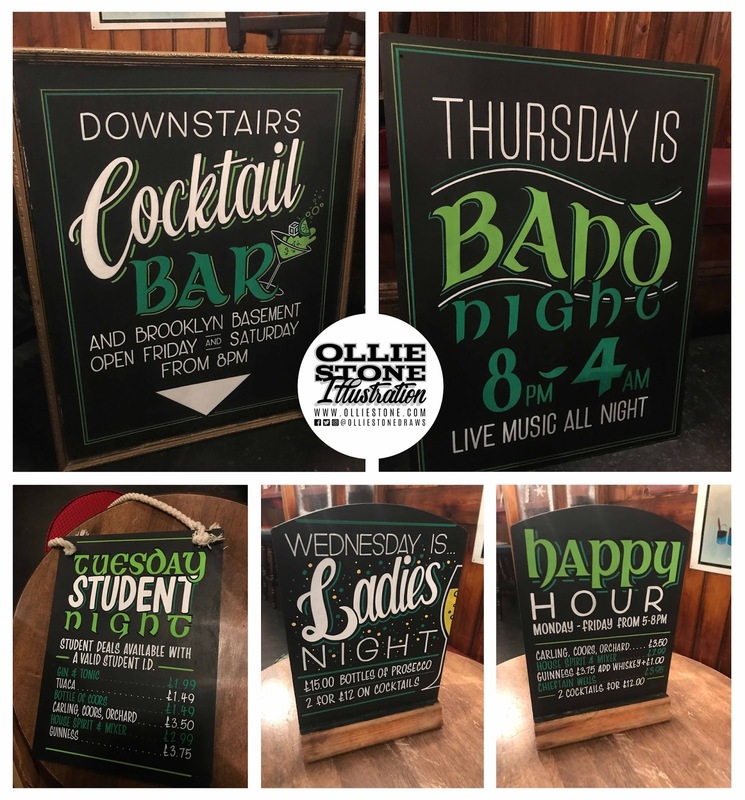 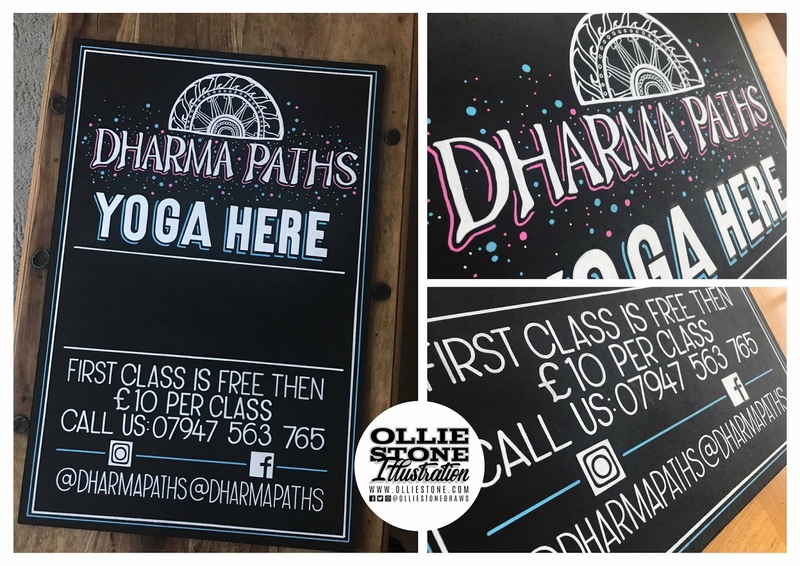 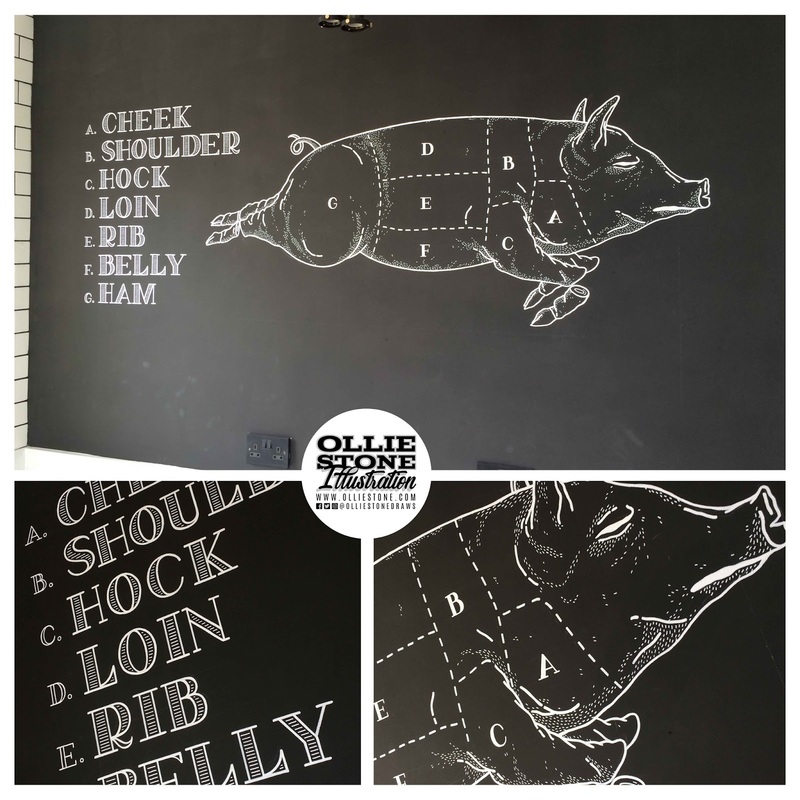 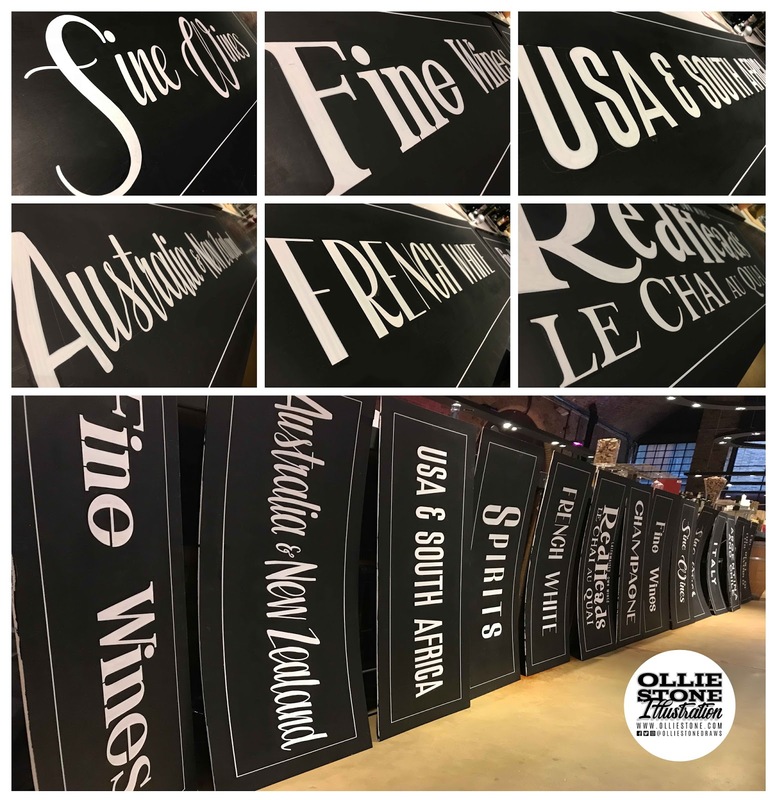 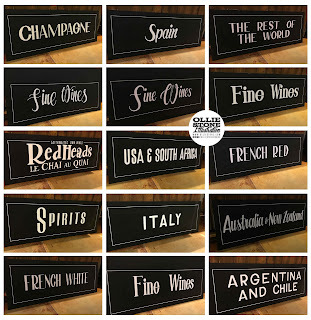 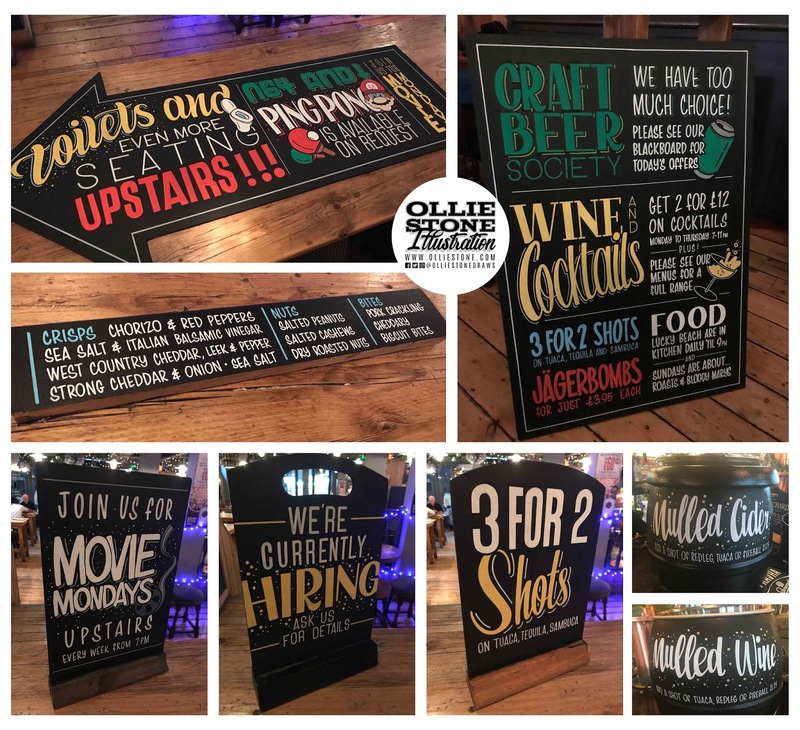 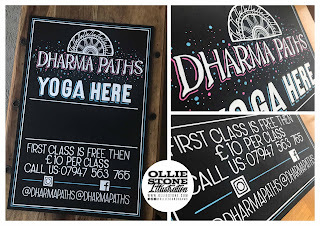 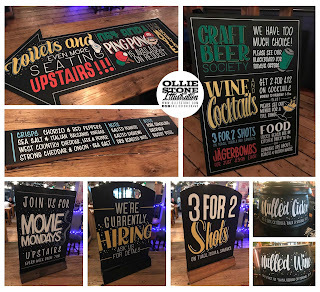 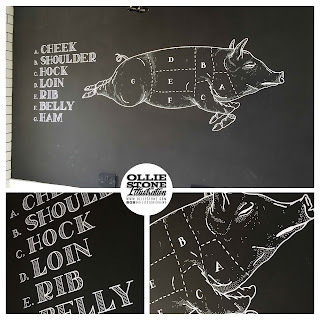 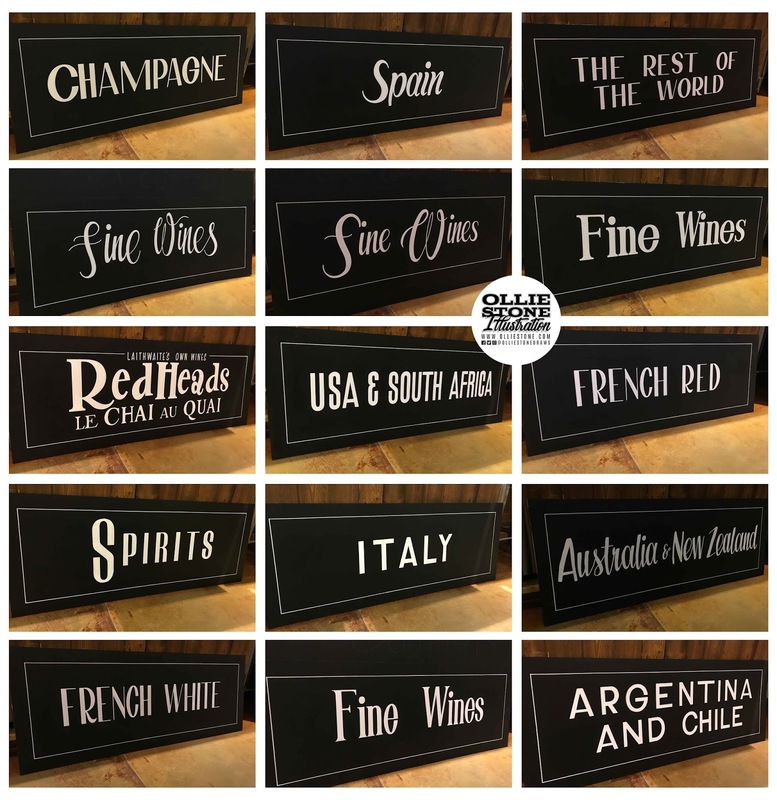 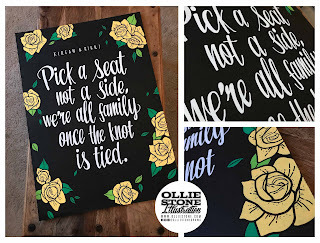 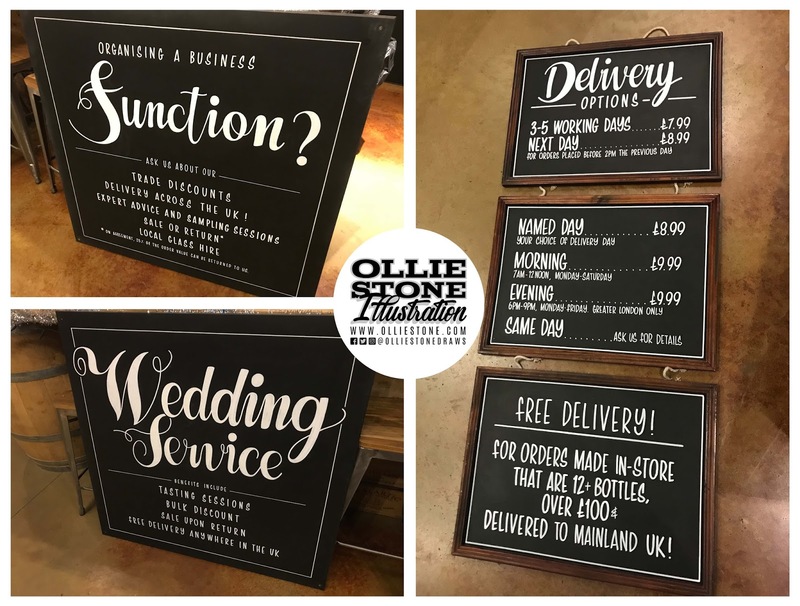 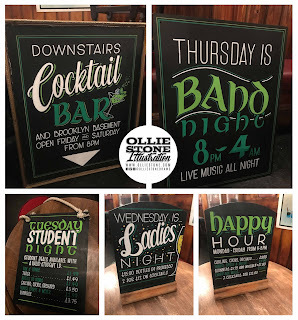 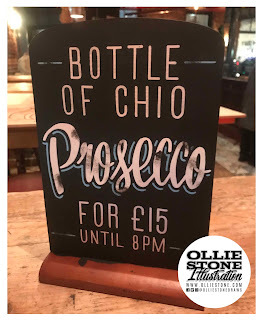 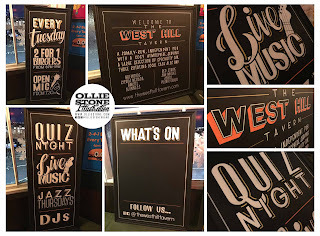 Chalkboard sign writing. UK, London, Brighton and the South. 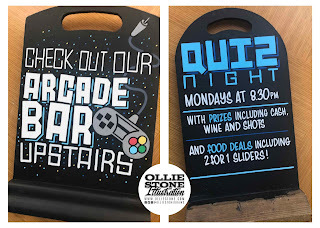 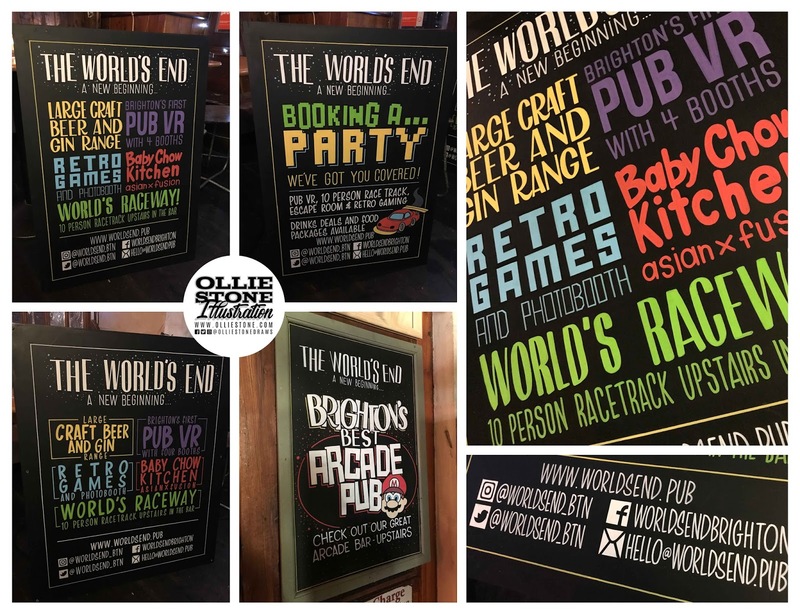 Signage for Molly Malones, Brighton. 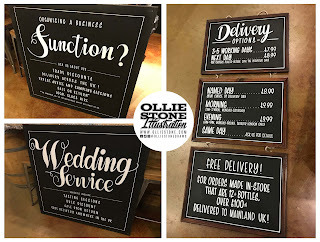 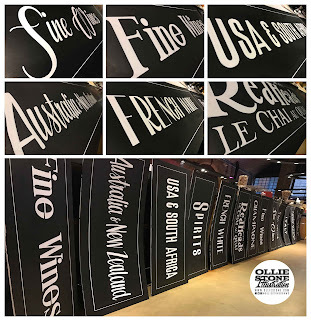 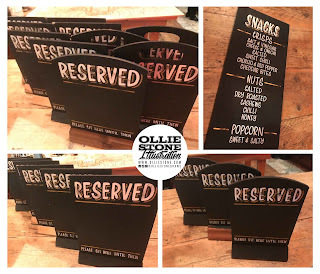 Signage for a wedding - private commission. 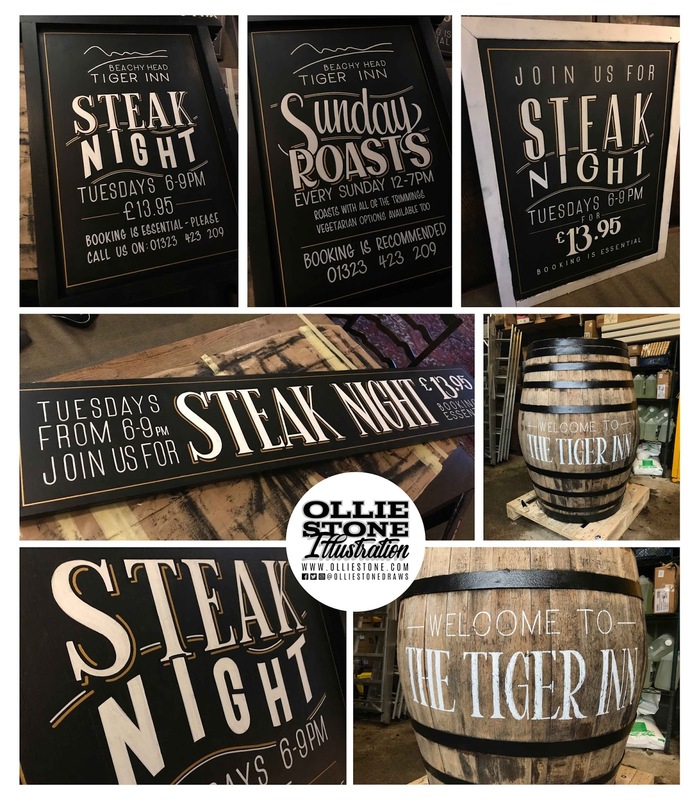 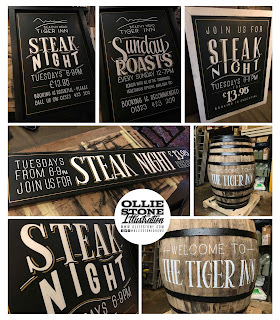 Signage for The Tiger Inn, East Dean. 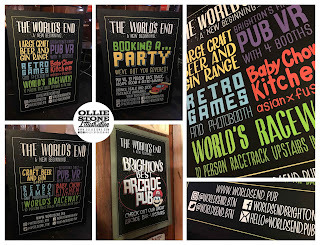 Signage for The World's End, Brighton.